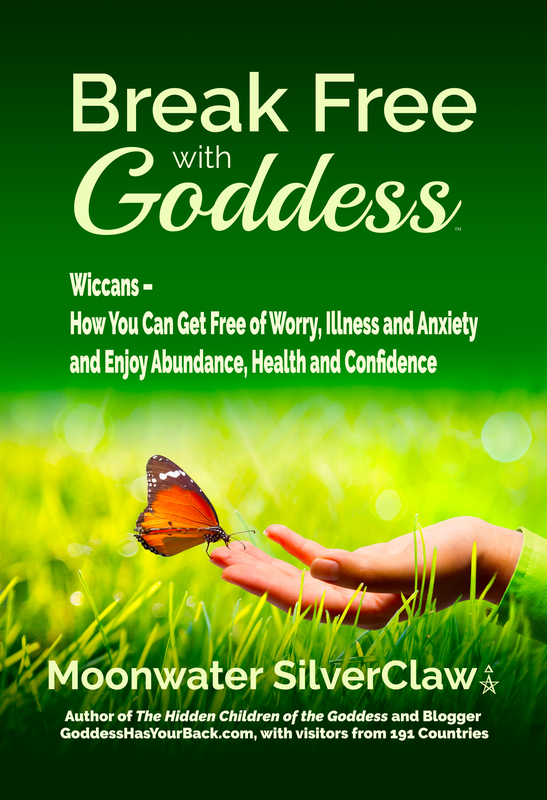 Unlike some religions, Wicca is not shut down like it’s a little thing hiding in a bunker. I’ll say it: Wicca rocks. “To reply to your question, I had a conversation with a college professor who taught Comparative Religion for 14 years. Our conversation provided many insights. Buddhism separates into a number of sects. “Let’s talk about the Law of Three, or the threefold law of return. Whatever energy you send out into the universe will get magnified three-fold and then returned to you. It is a simple principle. But when we observe this principle in action, it proves complex. Imagine that we have a pond which we’ll call the “universe pond.” You have some stones in your pocket. The stones represent the actions you take in life and in turn, the energy you send out into the universe arising from those actions. You drop a stone into the pond. Ripples move out from the stone’s entry point to the pond. As energy created from your action, the ripples spread into the universe and grow in magnitude. Eventually, they hit the edge of the pond and bounce back to you in their magnified form. So, the stone you dropped in the pond, (an action you took in the universe, whether it was a positive action or a negative one,) comes back to you. Just like nature, the universe has a self-regulating system, many people call this Karma. So carefully choose your actions. One creates karma by one’s actions. You can pay for your misdeeds in this life or in the next life (see reincarnation below). Some people talk about thinking a bad thought and then stubbing their toe as “instant karma.” That might strike someone as amusing. Still, several people talk about “I was kind to that person and later they helped me get a job.” Therefore, karma is not only about being good now so that your later incarnation will turn out well. So, as you can see, Wicca and Buddhism appear to have some beliefs that line up—in a way. Wicca believes in harming none. We strive to live with this idea in all aspects of our lives. We strive to avoid killing, harming or causing suffering of any living being. Some Wiccans take it to the point of going vegan. They don’t want to harm any animals for their personal survival. We may notice that it is impossible to live “an it harm none” as a rule. Even vegans harm plants. We brush our teeth and kill bacteria. 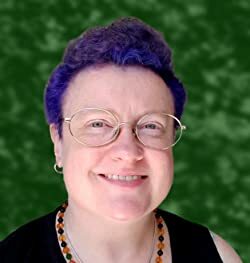 Wiccans tend to look upon an it harm none as a guideline. Something to strive for in our daily lives. “May the roots of suffering diminish. May warfare, violence, neglect, indifference, and addiction also decrease. The above quote from Pema Chodron emphasizes aspects of loving kindness. In a way, loving kindness is a practice of extending kindness and compassion outward to others during one’s meditation practice. It can also be a way of interacting with people in daily life. It is more than harming none; it is the providing of kindness and compassion to the benefit of the other person. A Wiccan can incorporate loving-kindness in her daily meditation practice, too. Many Buddhist emphasize a belief in reincarnation. Some state that the goal is to learn our lessons and practice compassion – and ultimately get free of the Wheel of Life. That’s when one does not return again to the Earth to suffer during another lifetime. Suffering has a cause: craving and attachment. People can be free of suffering when they give up craving and attachment. To let go of craving and attachment, one practices the Eight-Fold Path (similar to rules). Buddhists suggest that in each incarnation we learn how to release our habitual actions that lead to suffering. My personal belief is we are here to learn lessons to advance our spiritual growth. For example, before I was incarnated I had a lesson plan. I asked other spirits if they would help me learn these lessons. So, perhaps one agreed to help me learn patience, and another would help me learn compassion. Then, we would incarnate here on Earth and help each other. The Gods are present to help us through our lessons because sometimes such lessons can be tough. The universe creates scenarios that will create an opportunity to learn your lesson(s). Sometimes those scenarios can be very hard. No one wants their child to die or be in an abusive relationship. I’ve learned that the Universe provides us with paths to learn our lessons. Sometimes, the direct route to incorporate a lesson into our being is the one that requires us to endure something horrible. I heard of a mother whose 15-year-old son was shot and killed by another 15-year-old boy. Ultimately, the mother learned to extend amazing forgiveness in that she was the only person to visit the 15-year-old murderer in prison. She lost a son and gained an opportunity to extend kindness and forgiveness to the kid who killed her child. This mother’s faith in a Higher Power provided her a form of comfort and inspiration. My own elders in Wicca brought the idea of “the universe flows in the path of least resistance” to my attention. I look upon this as the Universe will find the direct path to help us grow. 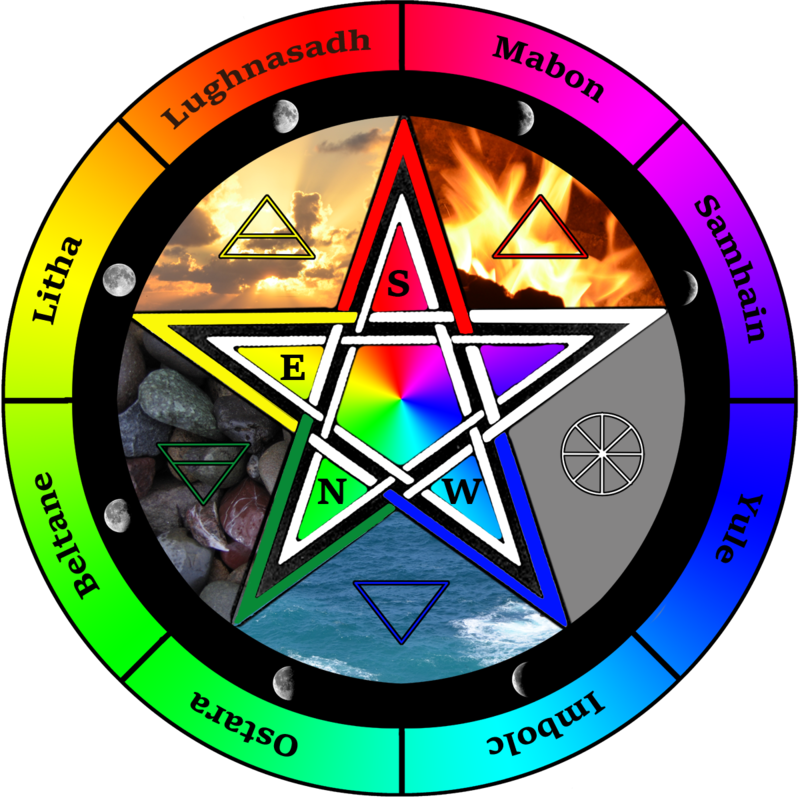 To Wiccans: the Gods, other spirits and entities provide support and guidance for us to endure the rough spots of life. 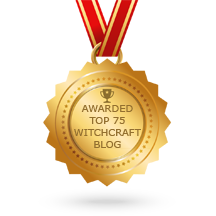 When we see Wicca in light of other spiritual paths, we have something to be grateful for.